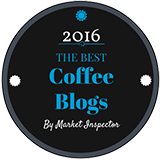 Our review of Benante’s Blend from Dark matter Coffee. 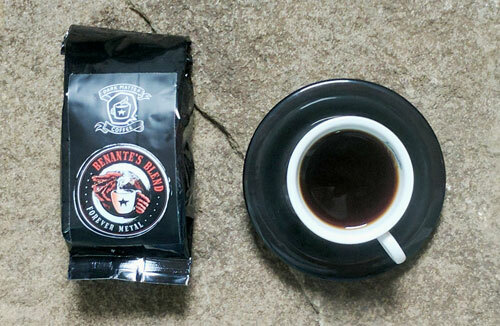 Our review of Benante’s Blend coffee, from a thrash metal drummer. I had to put aside a lot of assumptions here. First, when I got an email from the PR company representing Charlie Benante, the drummer from thrash metal band Anthrax, I almost ignored it. Second, I figured “a guy like that” couldn’t be seriously into coffee. Third, I guessed his blends would be dark-roasted, ultra-bold, and about as subtle as a thrash metal guitar solo. And... I was wrong on all counts. As well as being a drummer and studio guitarist for Anthrax, Charlie Benante is also a bona fide coffee geek. From some interviews I watched, it seems his mother gave him weak coffee in his baby bottle! A few years ago he decided to develop his own coffees under the Dark Matter Coffee brand. From what I understand, the first blend he came up with was Benante’s Blend. 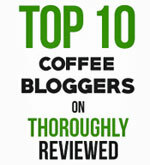 This is the coffee we chose to review. 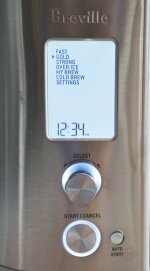 We ground and brewed the beans on our Breville Grind Control brewer. After leaving it to sit and cool down for a couple of minutes, we took our first taste. Definitely not a thrash metal drumming coffee! This is a medium roasted coffee, and at the light end of medium too. Very subtle and very smooth. As you expect with a medium roast, there are no harsh edges, and no biting bitterness on the tongue. While I can’t find any information on the origin of the beans in the blend, I’m guessing Africa and maybe Central America. There are floral notes there, with a hint of citrus. And the subtle acid notes that are present seemed wrapped in a gentle caramel flavor. Like I said... it’s a subtle blend. Of course, Charlie knows full well that a lighter roast does offer an extra kick of another kind. The lighter the roast, the more caffeine there is in your coffee. So while many people crave a strong, bold and bitter brew to wake them up in the morning, a lighter-roasted coffee, like Benante’s Blend, will actually give you the most kick per sip. You can buy this and Charlie’s other coffee blend at his coffee website. And if you want to see Charlie at work on his drums, we’ve added a video below. Yes, we like this song. Great energy! Now... if only those kind PR folks had sent me an Anthrax T-Shirt along with that coffee!